One thing I notice about lots of Halloween-themed baked goods is that they often require fondant skills – something that I definitely don’t have. While I wish that I had the dexterity to craft mini pumpkins or witches hats out of fondant, I just don’t. 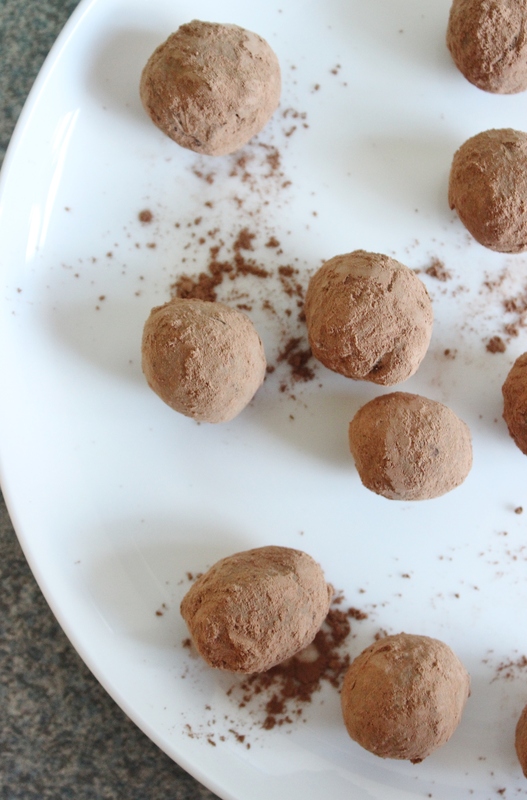 So I stick to basic decorations… chocolate I can work with! 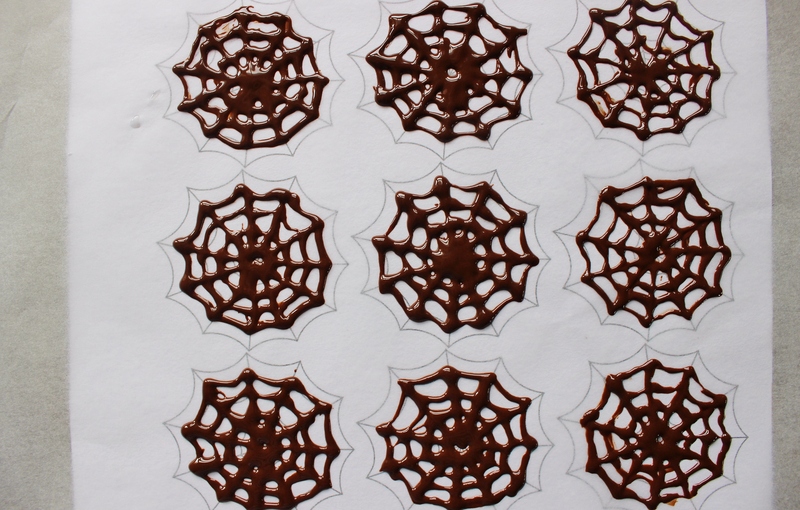 The great thing about these spider webs is that you don’t even need a piping bag, you can just use a snaplock bag. It was The Boy’s birthday on Friday and all he asked for was an “epic cake.” I always make him a birthday cake, so that was no big deal, but having it prefixed with the word epic made the task slightly more daunting. 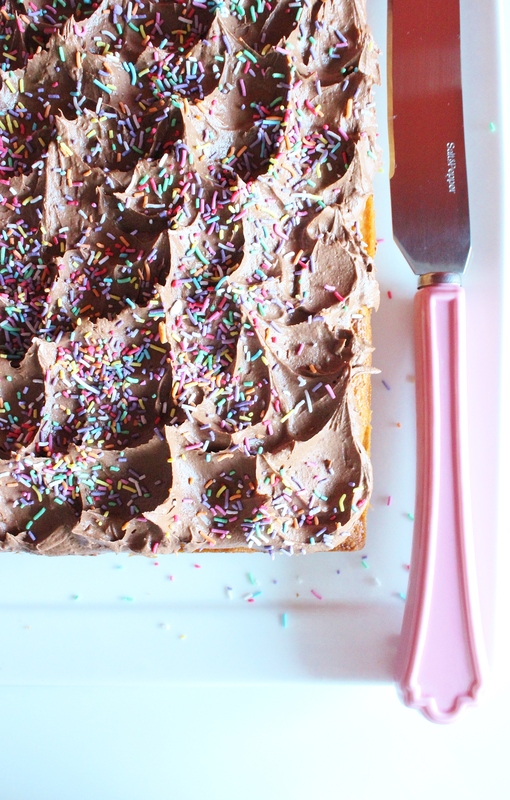 I love baking, but presentation isn’t always my strongest point – I value taste over looks! 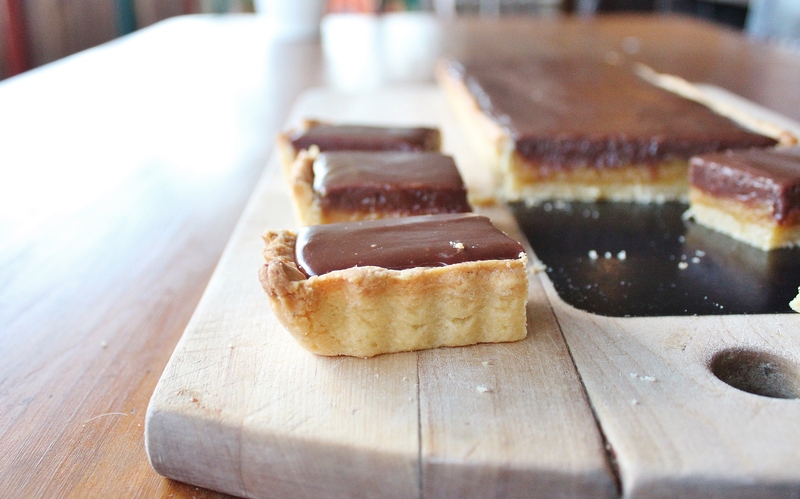 I dangled this tart in front of your eyes about a week ago. I taunted you with a picture of its shell, ready to go in the oven, and then I never gave you the recipe. To be perfectly honest, I lost the recipe! I had all of the tantalising pictures and could still tell you how delicious it was, but I couldn’t give you the ingredients! One of the problems with me being a blogger is that I’m prone to misplacing things. I used to write my recipes on scraps of paper and then lose them and get disappointed. The Boy bought me a notebook to stop this happening…now I just lose the notebook. One of my friends lives about an hour out of Sydney, so every now and then I go on an adventure to Elderslie. It’s really not that far away from where I live, but it’s so different. There are farms and horses and farm fresh veggies at ridiculously reasonable prices. 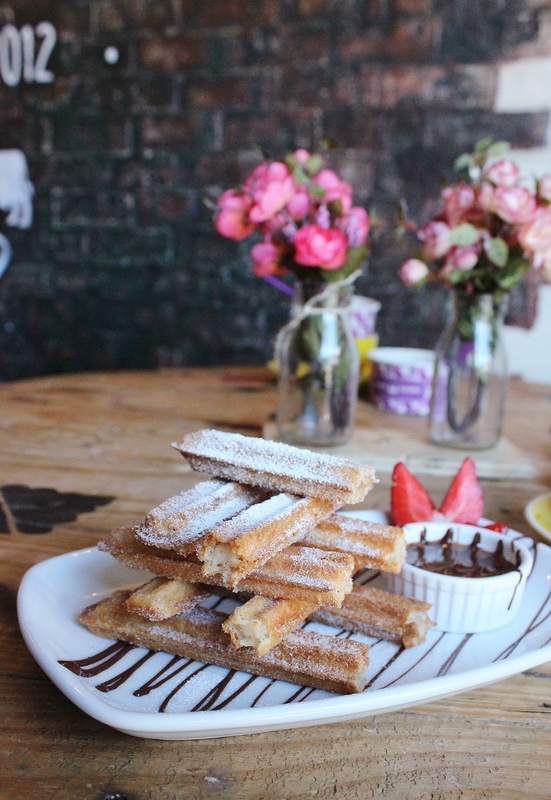 There are some pretty cute cafes, and I’m slowly working my way through each of them. It’s beautiful as well – because of the slight climate difference, the cherry blossoms in Sally’s area start earlier than they do in mine. And around Christmas the jacaranda blooms come out with such vibrancy that it takes your breath away; they carpet the streets with their purple, silken flowers. The reason I’m telling you about her is because she’s a little bit of a health-nut, and I made this dessert to take to her. She runs an Instagram account dedicated to raw/vegan/healthy food…her page is pretty much the antithesis of Baking with Gab! I’ve been slow in getting recipes up recently because the oven at my rental place is unreliable. I love having my own kitchen to experiment in, but I don’t think it loves me back… not all the time, anyway! 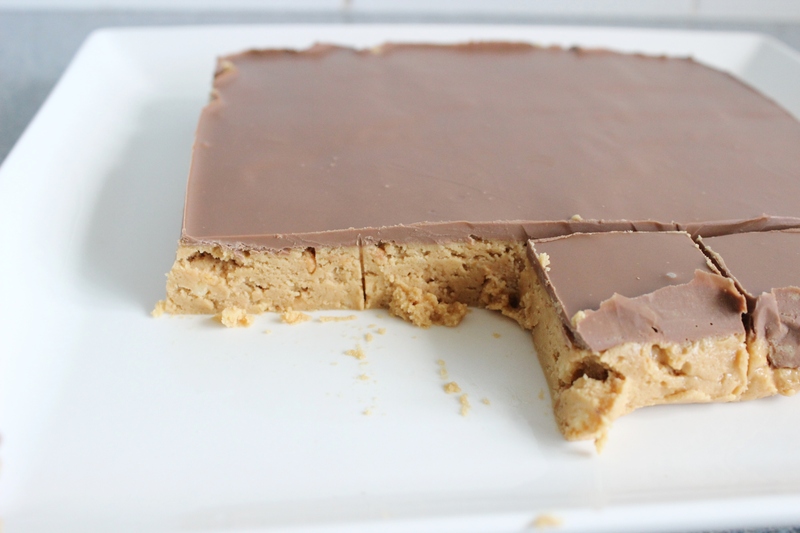 So this recipe is basic, easy and nice. Because it is nice to be back. I find blogging such a great outlet – not having the opportunity to write posts because of lack of recipes to share saddens me somewhat. 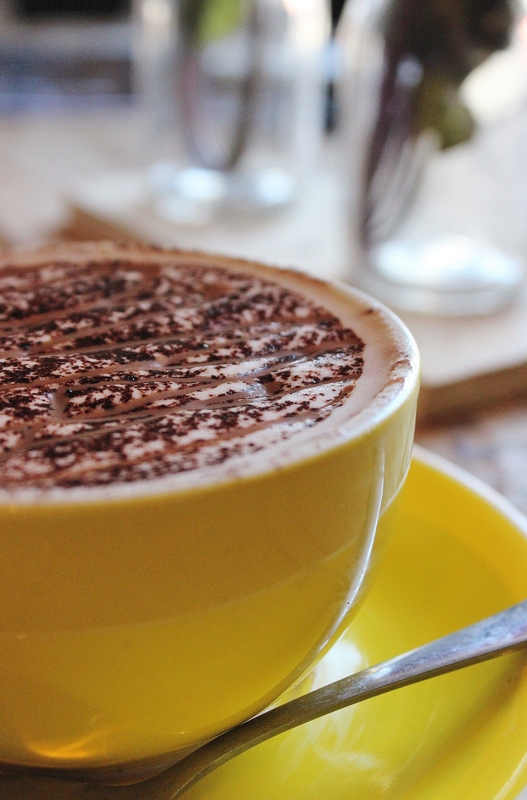 Enough dwelling on negatives – let us focus on the nice things! I delighted over a gorgeous speckled egg amidst a collection of perfectly beige counterparts. The name of this cake came about because I had such a fun time icing it. I was aimlessly dabbing away at it when I realised (with a little giggle) that it had started to resemble a little hedgehog. I’ve been putting off writing this post for a while. 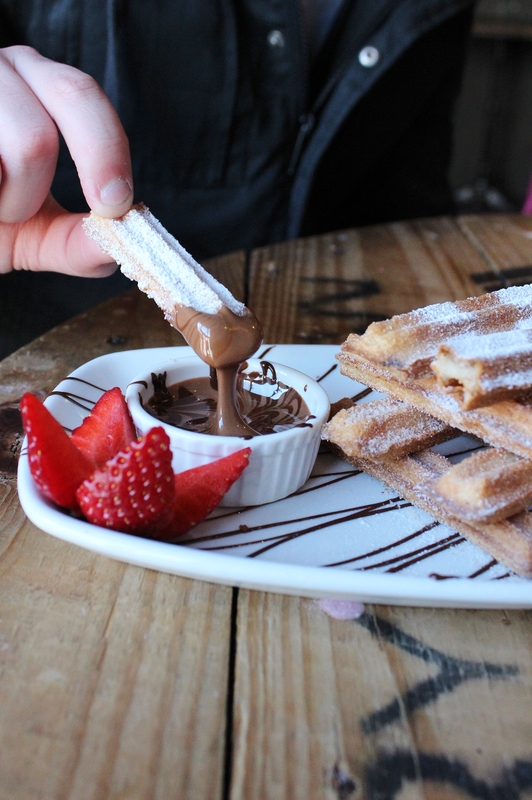 Not for any sinister reasons , it’s just that this blog post hinges around waffles. Or the making of them. I have been searching and searching and searching for a waffle maker so that I could post a recipe to accompany the review of Mooberry Neutral Bay which inspired me to make waffles in the first place. I have had approximately zero luck finding a reasonably priced waffle maker! I thought I might be able to pick one up easily at Kmart or Target, but I have not had any luck. How is this? The few that I have found are either massive or too expensive. Where are the reasonably priced waffle irons that will fit in my small rental kitchen? 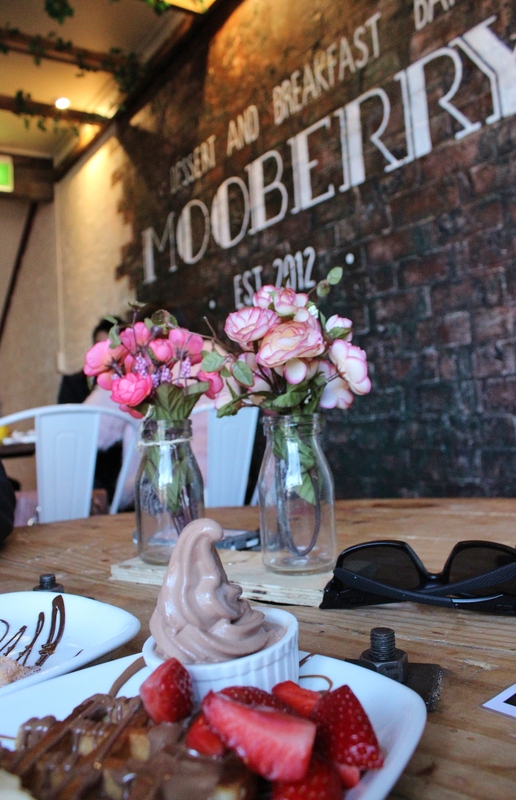 So this post has two parts – one part is telling you how awesome my Mooberry experience was. The second part is to implore you to help me find the waffle iron my dreams. Suggestions and donations welcome! I was invited to sample Mooberry’s delights through my blog. I said yes, assuming that I’d get some froyo, which I love. 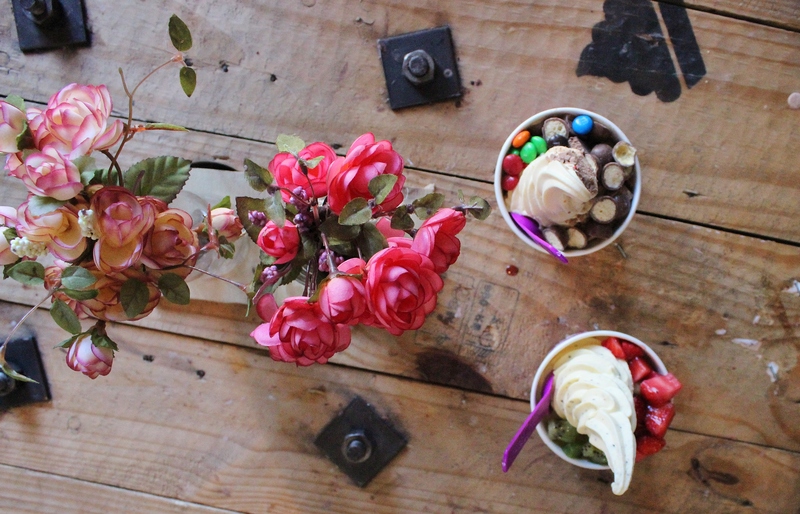 I didn’t realise that Mooberry have so much more to offer than just frozen yoghurt! I took the Boy along and we had a Mooberry date. It was so cute. The lovely Jamie, who took care of us, started us off with some froyo. The Boy got salted caramel with Maltesers, M&Ms and Tim Tam. It was the ultimate chocolate dessert. He’d never had froyo before that day (because he thought it would be gross) and I think it’s safe to say that this serving changed his mind. I got passionfruit with fresh strawberries and kiwi and lychee pearls. Those little pearls were unreal. They were like little bursts of summer. So you’d think that was it. 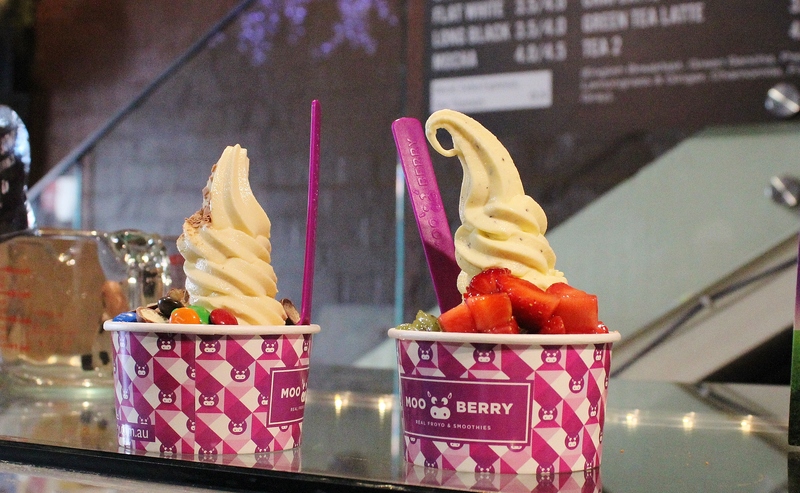 Mooberry is predominantly a frozen yoghurt place. YOU’RE WRONG! Perusing the menu I realised that they offer delicious, even healthy brekkie options. I didn’t sample any of these though, I focussed on the sweet things! The Boy and I devoured a hot chocolate each (go Belgian chocolate every time, it’s glorious) and split a waffle and churros. 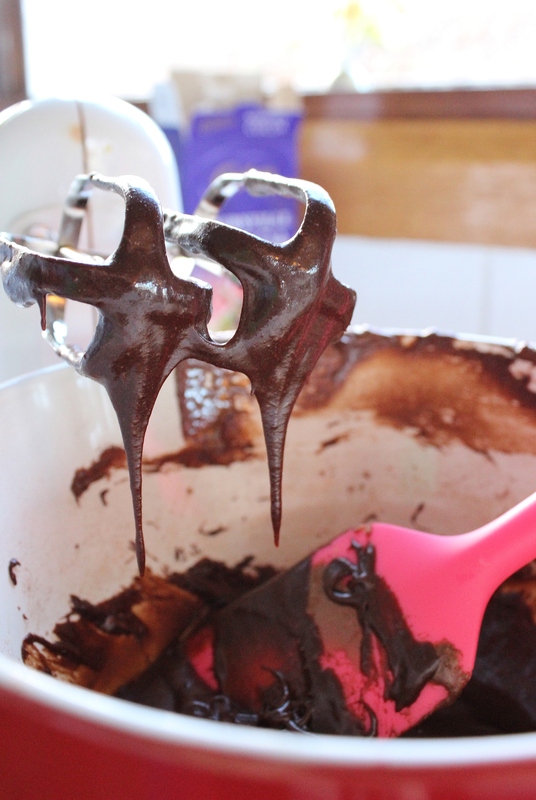 Everything is drizzled in chocolate. It is basically my idea of heaven. Jamie explained that they currently have their waffles delivered, but they’re experimenting with making their own. I will definitely be back to try out their house-made waffles, because if they’re better than the current ones, they’ll be divine. It’s too bad I can’t try and replicate them. Who knew that finding a waffle iron would be so difficult?! Mooberry Neutral Bay is friendly and funky. There are stag heads and faux grass on the walls, fairy lights adorning bannisters and Instagram pictures on the wall upstairs. It’s a pretty photogenic place, as you may have seen, I insta-spammed my followers while I was there! The staff are sweet and super helpful, the Boy and I had a lovely time. Chocolate is something that I don’t often buy for myself. I buy baking chocolate lots, but given the amount of baking that I do, I try to avoid chocolate bars. I’m not always successful, but I try. Do you ever have days where you’re in awe of how wonderful people can be? I had one of those days today. I was recently invited to get involved with Camp Quality’s Dine at Mine fundraising event. Basically, you invite a bunch of your friends over, cook delicious things for them and have a wonderful time. You can pick any date in August, and choose whatever food you like. I chose afternoon tea, because I love nothing more than drinking from pretty tea cups while eating too many baked goods. For those of you who follow me on Instagram, you probably saw the ridiculously delicious things I did over the weekend. I ate a startling amount of delicious food and I do not regret one thing. For a full run down of everything I ate (and did), check out my catch up post. 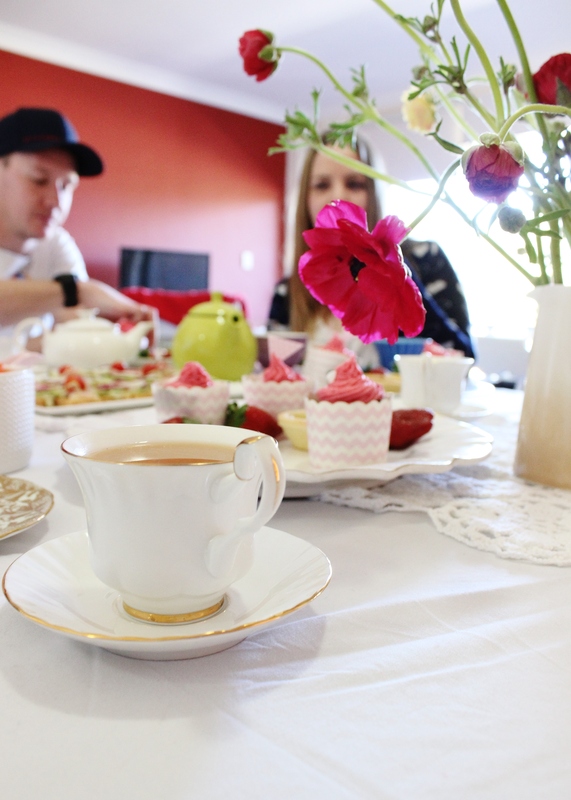 One of the things which most stuck with me was high tea at the Gunners Barracks Tea Rooms. This little slice was created at a time when I thought that I had no oven. The oven in my rental property had been smoking like crazy for no apparent reason at all. So I stopped using it while we tried to get the issue sorted. Some people could cope with just a stove top to cook on…I can’t. Ovens are kind of integral to what I do here at Baking with Gab. So in the week that I went without an oven I went Pinterest crazy on no-bake recipes. I was amazed at the amount of food that people get away with not cooking! 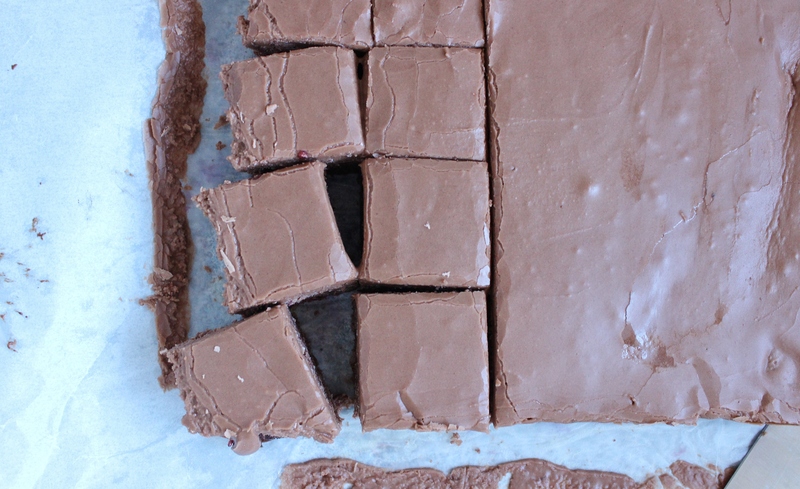 Lots of fudges are no bake, I almost made a cake batter dip, and there are so many raw desserts that I want to try.